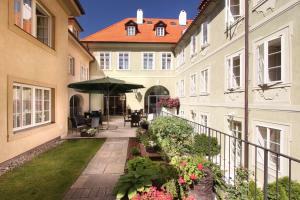 Appia Residences in Lesser Town is nestled in peaceful surroundings below Prague Castle, 5 minutes' walk from Charles Bridge. It features a romantic garden and private parking in a garage. 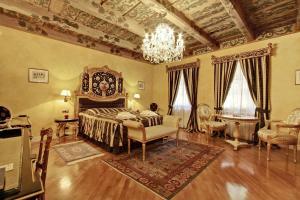 All rooms have oak wooden floors and marble bathrooms. 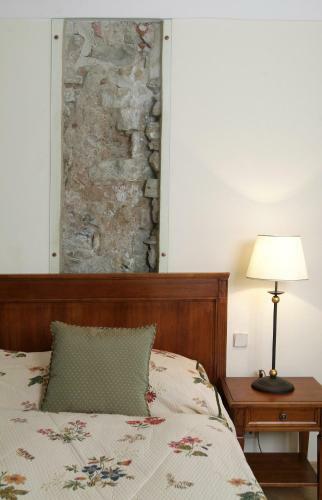 Each room is individually designed and reflects a unique character. Guests can benefit from a business corner with PC, printer and WiFi connection, which is located in the lobby. 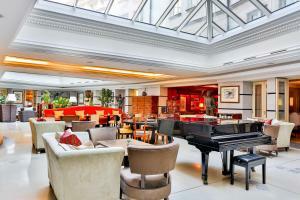 Aria Hotel price per day from €206 The luxurious Aria Hotel is located in the historical Mala Strana quarter in the historic centre of Prague. Away from the crowds but only 30 metres from the tram line, guests can reach the Old Town within a 15-minute walk across Charles Bridge. An extensive music and DVD library, in-room PCs are part of each room. The rooms have heated bathroom floors and offer views of St. From the rooftop garden terrace, guests can enjoy direct views of the city. 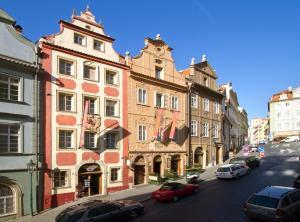 Design Hotel Neruda price per day from €49 The luxurious Design Hotel Neruda is set in a 14th-century building, 300 metres from Prague Castle and 500 meters from the Charles bridge, the hotel features a modern Baroque interior design and a spa area with hot tub and sauna. 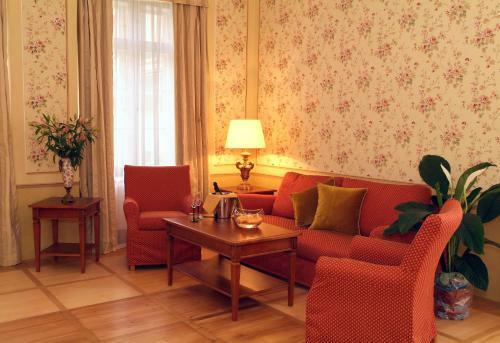 The stylish rooms in Neruda Design Hotel have warm-coloured walls and designer carpeted floors. Some rooms have high-quality parquet flooring, oriental rugs and bathrooms with standalone bathtubs, painted tiles on the floor and glass walls. 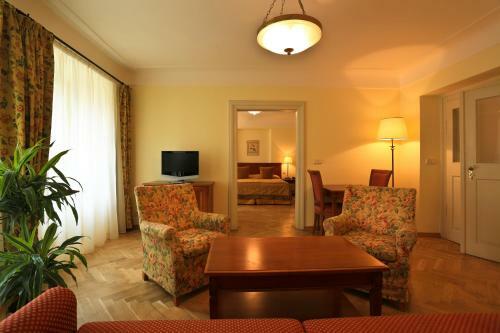 Appia Hotel Residences price per day from €88 Appia Residences in Lesser Town is nestled in peaceful surroundings below Prague Castle, 5 minutes' walk from Charles Bridge. It features a romantic garden and private parking in a garage. 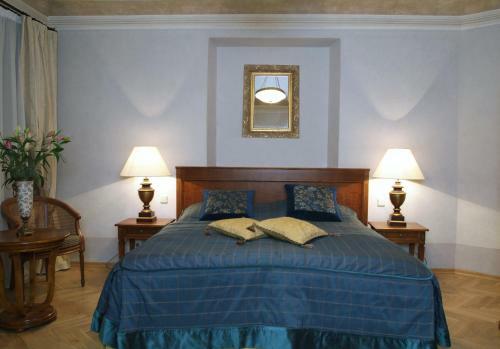 All rooms have oak wooden floors and marble bathrooms. 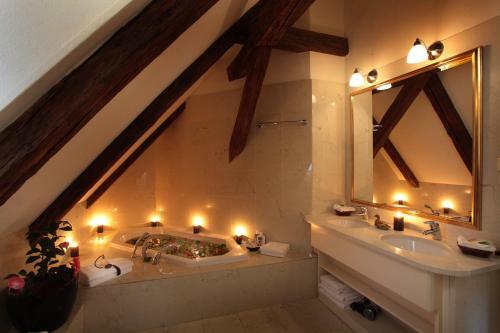 Each room is individually designed and reflects a unique character. Guests can benefit from a business corner with PC, printer and WiFi connection, which is located in the lobby. 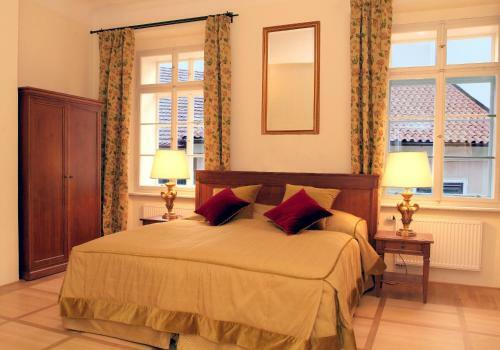 Hotel Questenberk price per day from €66 Situated in the Baroque Questenberk Palace near the Strahov Monastery, this historic-style hotel is only 500 metres away from Prague Castle. It offers panoramic views and free Wi-Fi. 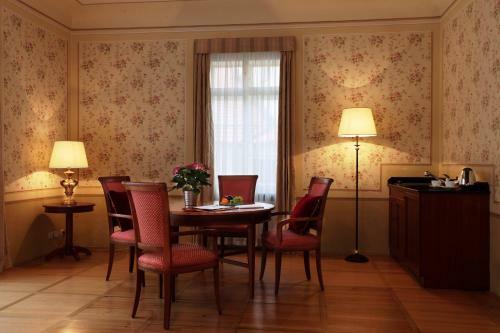 All of the spacious rooms in the Questenberk Hotel feature original wooden ceilings and satellite TVs. 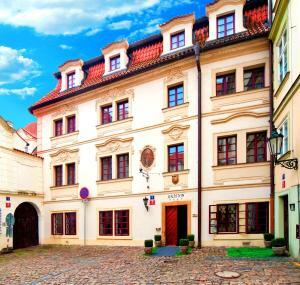 The Hotel Questenberk's restaurant is located in a former Baroque chapel and serves fine Czech specialities and international cuisine. 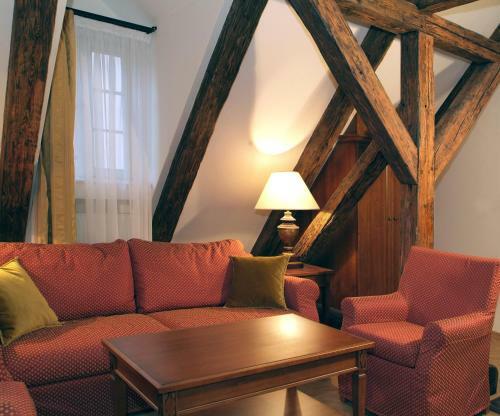 Domus Henrici Boutique Hotel price per day from €54 The Domus Henrici Boutique hotel enjoys a superb location in the Prague Castle area Hradčany, between the castle's main gate, Loreta Chapel and Strahov Monastery. 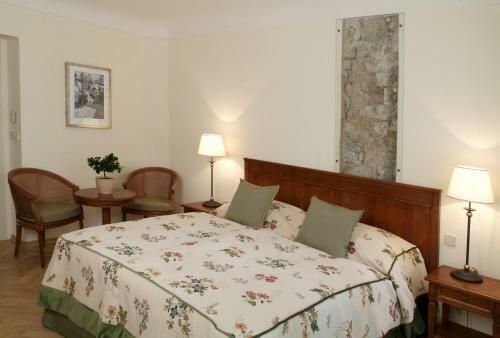 Each non-smoking room in the Domus Henrici Boutique hotel is equipped with an LCD satellite TV, a mini Hi-Fi system with CD and DVD player, free Wi-Fi and a coffee and tea maker. Terraces with colourful flowers, offering panoramic views over the centre of Prague, invite you to unwind. 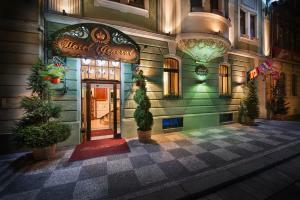 Restaurant U magistra Kelly, Prague Guest reviews: 9,2/10 ~ 0,1 km from Appia Hotel Residences Address: Sporkova 521/5, 118 00, Prague. Cuisine: Czech, International. Restaurant Cafe U Zrcadla, Prague Guest reviews: 10/10 ~ 0,2 km from Appia Hotel Residences Address: Uvoz 161/22, 110 00, Prague. 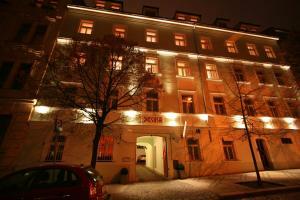 Restaurant Coda, Prague Guest reviews: 9,2/10 ~ 0,4 km from Appia Hotel Residences Address: Trziste 9, 11800, Prague. 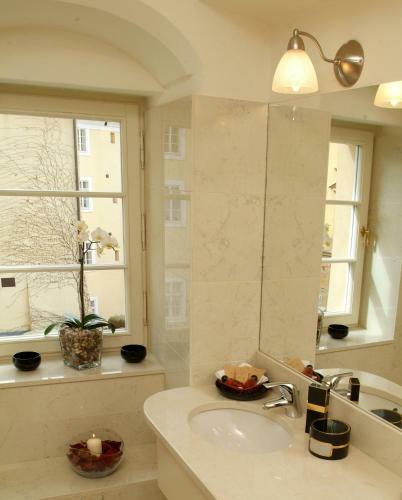 Restaurant Terasa u Zlate Studne, Prague Guest reviews: 9,4/10 ~ 0,6 km from Appia Hotel Residences Address: 66/4, 11800, Prague. Cuisine: French. Restaurant Atelier Red & Wine, Prague Guest reviews: 9,4/10 ~ 1 km from Appia Hotel Residences Address: Rosickych 603/4, 15000, Prague. Cuisine: French.